Seafarers earning their wages or training on a sea-going craft, as long as it is not minor employment according to Article 8 of Book IV of the Social Code (Viertes Buch Sozialgesetzbuch - SGB IV), and who are insured in the German pension insurance "Deutsche Rentenversicherung Knappschaft-Bahn-See" are insured in the seafarer's special fund. Moreover, coastal mariners and coastal fishermen are insured if they are part of their craft's crew or if they fish without craft and regularly employ not more than four employees who are subject to compulsory insurance, as long as they do not practice it as a secondary income. 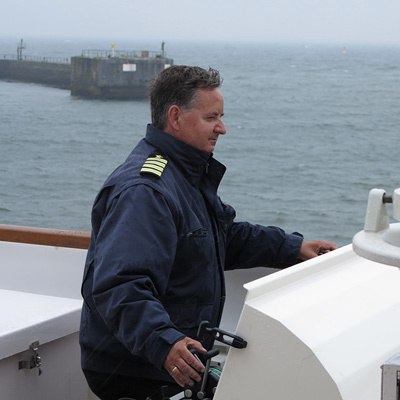 Seafarers are, under certain conditions, also insured in the seafarer’s special fund during service on board of foreign flagged ships, in particular during sea service subject to the insurance by power of an area of the law (Ausstrahlungsversicherung) or to mandatory insurance on application. A low-pay employment on board entails no compulsory insurance in the seafarer’s special fund. However, seafarers receiving a monthly pay of between 450.01 and 800.00 € are insured in the seafarer’s special fund. Follow the link for information regarding sea service in the new federal states (which acceded to the Federal Republic in 1990; only in German). Seafarers, who are unable to qualify for the bridging allowance before reaching the standard minimum pensionable age, are on application exempted from paying contributions to the seafarer’s special fund. The exemption becomes effective from the first day of employment, if the application is filed within two months of that day. If the application is filed later, the exemption becomes effective only from the day on which the application is received by the seafarer’s special fund. Contributions paid to the seafarer’s special fund can not be refunded. This applies also, when it is impossible to fulfil the insurance law requirements for the drawing of benefits from the seafarer’s special fund. A voluntary insurance in the seafarer’s special fund is not possible.